MIT’s Infinite Solar System is a new exhibit bringing to a human scale the architecture of our Solar System. 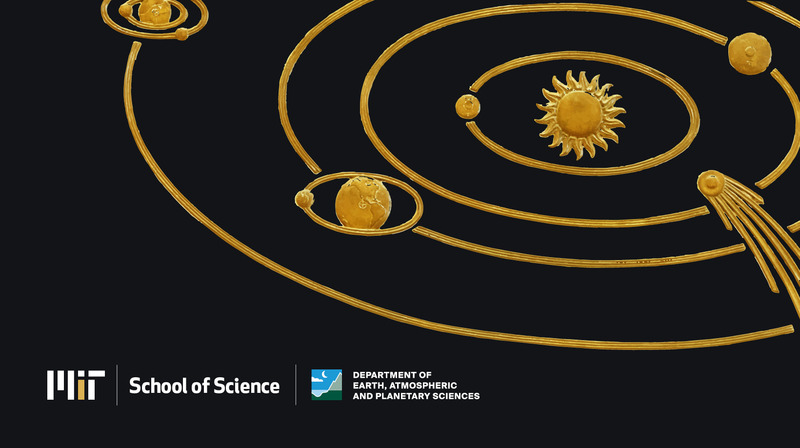 The exhibit runs the full length of the third floor of MIT’s Infinite Corridor, with the Sun located just off of Lobby 7 at the main entrance on 77 Massachusetts Avenue, and is accessible during all open hours of the campus. The concept for MIT’s Infinite Solar System follows from a simple question: If our Solar System—from the Sun to Pluto—were scaled to the 200 meter length of the Infinite Corridor, what would be the sizes and spacing of the planets? The conceptual question is answered by placing a plaque for each planet at its appropriate location, calculated using a scale of 1:30 billion. For example, at this scale the Earth is only 0.43 mm across and is located 5.0 meters from the Sun. The Sun itself is only slightly larger than a golf ball, 4.6 cm across. On this length scale (1:30 billion), the finite speed of light is matched by a snail’s pace of 1 cm per second. Thus a normal walking pace along the exhibit means you are “traveling” faster than the speed of light. On this scale the nearest exoplanet system, Proxima Centauri, is 1300 km away; the distance of Boston to Chicago. The exhibit was created by MIT Professor Richard Binzel, along with designers Todd Robinson and Arthur Lue. Binzel is a professor of planetary sciences in the Department of Earth, Atmospheric and Planetary Sciences and an MIT Margaret MacVicar Faculty Fellow. One of the world’s leading scientists in the study of asteroids and Pluto, he is also the inventor of the Torino Scale, a method for categorizing the impact hazard associated with near-Earth objects such as asteroids and comets. Presented by the MIT School of Science and the Department of Earth, Atmospheric and Planetary Sciences.